Micro Markets are an innovative, self-service convenience store, providing a fresh, affordable approach to food and beverage services. 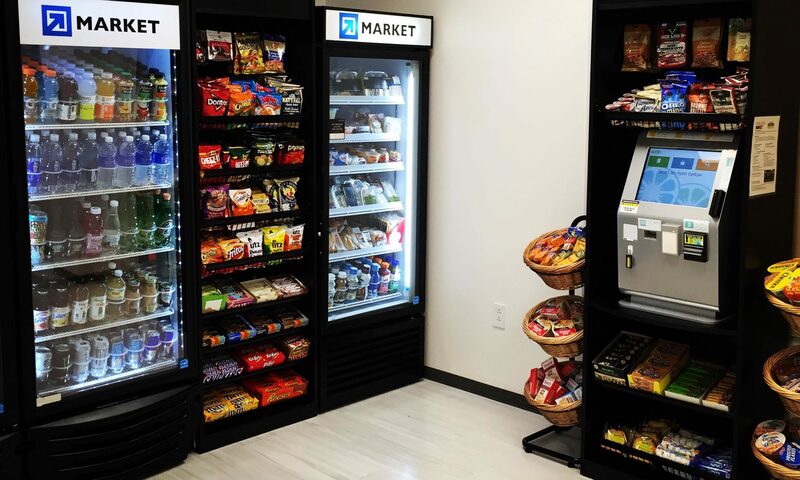 Space once occupied by vending machines are transformed into a sleek in-house vending market, stocked with what your employees want. Payment is made at a kiosk using the employees credit/debit card or thumbprint.